SPECIALIZING IN DESIGN/BUILD COMMERCIAL RETROFIT! Choose a Design / Build HVAC Contractor for your commercial building work whether you need a simple HVAC unit replacement or full system upgrade. Call Air Control Heating today at 228-7411 for a FREE ESTIMATE. 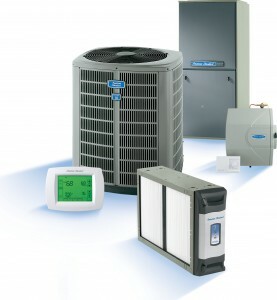 Air Control Heating and Electric specializes in installing Design/Build HVAC Systems. Whether your commercial building needs a unit replacement or full upgrade replacement of your HVAC system, a design / build HVAC system will give you a better end result. Designing and retrofitting the right HVAC system takes considerable knowledge and experience. Air Control Heating and Electric has completed over 4,000 HVAC projects in Spokane during the past 27 years, which speaks for itself. If you have a commercial building that needs a new or replacement HVAC unit, or an entire new system, you can call us for a recommendation and proposal. If your building use has changed, and the existing system is no longer appropriate, we can help you update the system. Design / Build HVAC Systems simply means we will consider your new or intended use and select not only the right system, but also the right technology for your needs. Air Control Heating & Electric provides high-quality turnkey commercial air conditioning and heating installations that are properly designed, correctly sized and custom-installed for your home or office. HVAC system replacement or upgrade. We welcome manufacturers and their unique needs. Over 4,000 projects completed locally. We have extensive experience with commercial and industrial heating & air conditioning projects going back over 25 years. We have completed over 4,000 projects locally, so we know what we are doing. We are local, so “BUY LOCAL” and keep your money in Spokane.